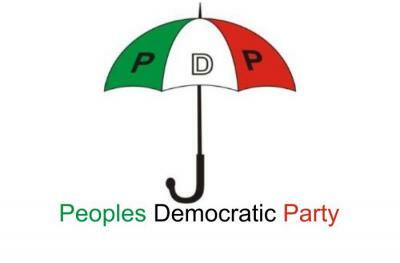 The national leadership of the Peoples Democratic Party has called on its members, who collected money from the former National Security Adviser, Col. Sambo Dasuki (retd. ), to return it immediately. The party said it didn’t ask any of its members to collect money on its behalf during the last general elections. The Deputy National Publicity Secretary of the party, Alhaji Ibrahim Jalo, stated this in an interview in Abuja on Saturday. Jalo said he was happy that those who claimed to have received money from the embattled retired army officer had not said they received the huge money on behalf of the party. Some influential members of the party are currently being prosecuted for allegedly benefiting from the money, which was meant to procure arms for the fight against the Boko Haram insurgency in the North-East. Among those currently facing different charges before different courts in Abuja are Dasuki; the acting Chairman of the Board of Trustees of the party, Alhaji Haliru Bello; and the founder of DAAR Communications Plc, Dr. Raymond Dokpesi. The National Publicity Secretary of the party, Chief Olisa Metuh, is currently being detained by the EFCC over alleged corruption. A former Chairman, Board of Trustees of the party, Chief Tony Anenih, who admitted that he received N260m from Dasuki, had reportedly explained how he distributed the money. He said he gave N100m each to the former Minister of Finance, Chief Olu Falae, and a former Governor of Oyo State, Senator Rashidi Ladoja, adding that he gave a former presidential adviser, Alhaji Tanko Yakassai, N63m. While Metuh allegedly got N400m from the former NSA, the spokesperson for the opposition party had maintained that he was paid for an undisclosed job which he said he did for former President Goodluck Jonathan. Jalo disagreed with the claim in some quarters that the actions of the members of the party were capable of having negative effects on the once ruling party. He said, “When people say that this party benefitted from the money meant for arms, I laugh. This is because we didn’t as a party get a dime from the former NSA. “The party therefore has nothing to do with anyone who has collected money from the former NSA. Anyone, who has collected money from him, should return it. They are on their own. He challenged the government to probe further and come out with the outcome of such investigations to show that the party took money from the government to fund its operations. “All those who collected money from Dasuki used their personal companies to do so. We didn’t send them,” he added.